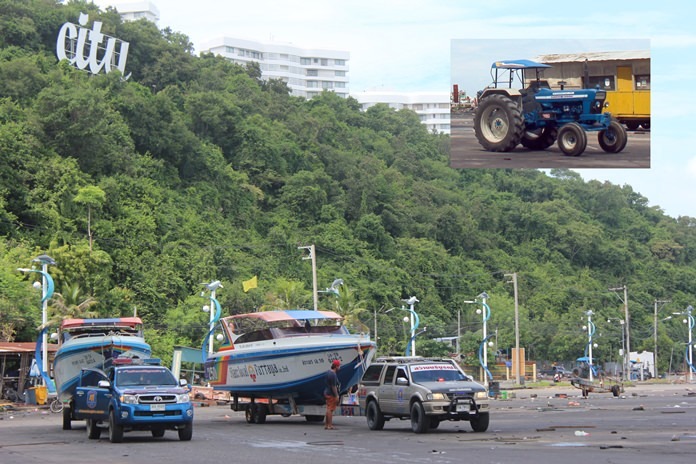 Pattaya authorities have banned the use of tractors to tow speed boats on roads in the famous resort city on ground that the practice is against the law and cause traffic problem. 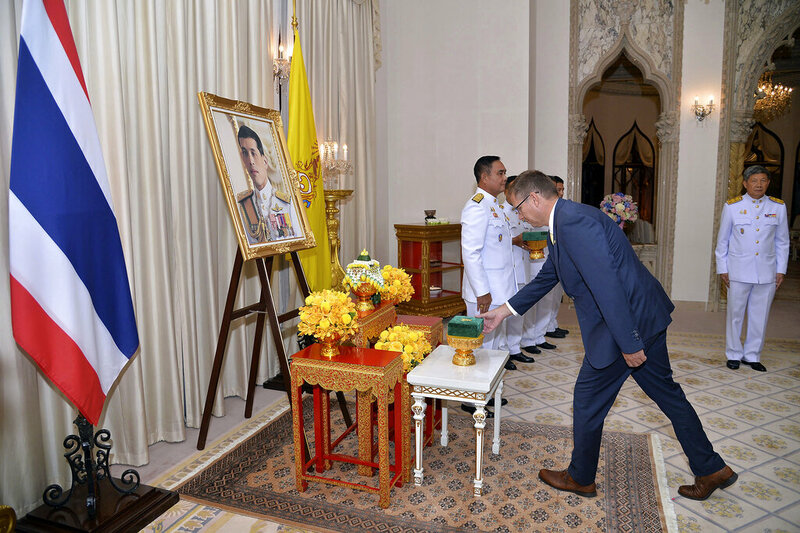 Headed by Colonel Pob-anan Luangpanuwat, deputy commander of the 14th army circle, the committee tasked with regulating the operations of piers in Pattaya met on Thursday to discuss the issue about the use of tractors by several speed-boat operators to tow the vessels on the roads. The committee finally agreed to impose a ban on the practice. It also decided to stop buses from dislodging and picking up tourists in front of the passengers’ terminal at the Pattaya pier and to ban parking of all buses on the beach road in front of the pier. Buses will park at an open space for old vessels to dislodge and to pick up the tourists after which they will park at private parking lots or at the city’s indoor stadium. The committee also agreed to adjust the schedules for speed boats to be put into the sea to during 4-9 am and for the vessels to be brought ashore during 3-6 pm.